Manager wants to promote the West Lothian club and get trophies in the cabinet. 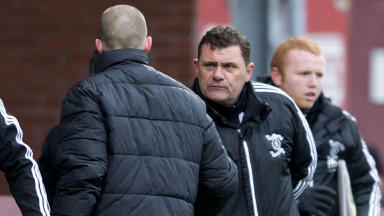 Richie Burke wants to turn Livingston into an SPL force after being handed the reigns full-time. 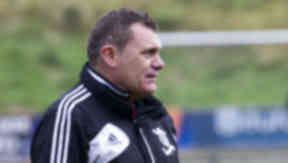 The former assistant to ex-boss Gareth Evans takes charge at the West Lothian outfit with Mark Burchill as his assistant. The pair have been handed contracts until 2015 and Burke, who plied his trade in the USA following spells at Liverpool and Everton as a youngster, is targeting a return to top league over the next two years. He said: "I’d like us to be an SPL team with a prominent force. "Our job is to promote this club as best we can, get it recognised, especially for the aesthetic style of play, and try and get some trophies in the cabinet. "We need to make this a football club that the region can be proud of and get spectators on seats, enjoying and supporting the club." Livingston’s stated aim to develop their best youngsters to create a squad able to challenge at the top once more and Burke believes his international outlook can help. Burchill, who has had spells in Cyprus and Thailand in recent years, can help to promote that brand of football from the pitch, Burke believes. The manager added: "We have a renown for playing a certain brand of football and we are trying to fine tune it and build upon that. "People who have been here before us have set the tone for how football is played at Livingston. "Mark and I, with our international football backgrounds, are trying to add a continental nature to that."